A construction worker talks on the phone in front of a 1Malaysia Development Berhad (1MDB) billboard at the Tun Razak Exchange development in Kuala Lumpur, Malaysia, February 3, 2016. Malaysian Prime Minister Mahathir Mohamad said bankers at Goldman Sachs “cheated” the country as part of its work for 1MDB. He told CNBC on Nov. 13 that U.S. authorities have promised to help return the fees that the bank earned in those deals. 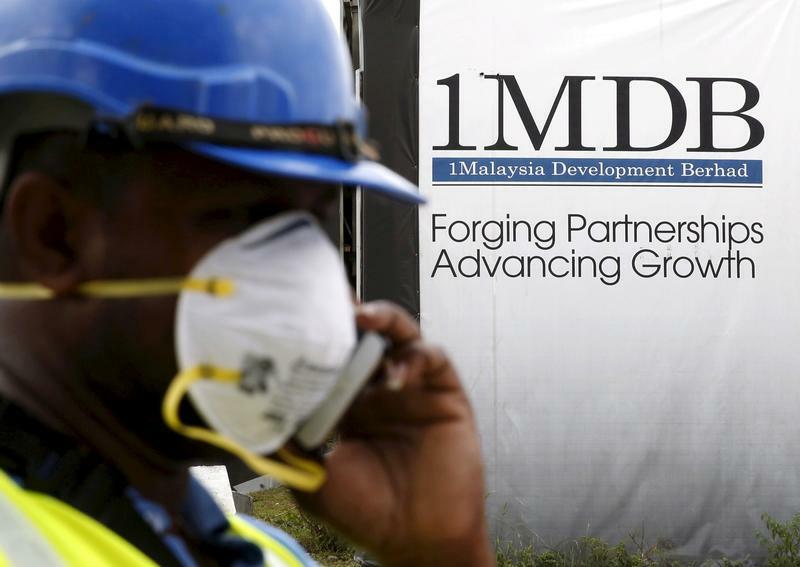 The U.S. investment bank received around $600 million in revenue for its work with the Malaysian sovereign fund, which included three bond offerings in 2012 and 2013 that raised $6.5 billion. The bank denies any wrongdoing. The U.S. Department of Justice has said about $4.5 billion was misappropriated from 1MBD between 2009 and 2014. Earlier this month, U.S. prosecutors filed criminal charges against two former Goldman bankers. Tim Leissner pleaded guilty to conspiracy to launder money and conspiracy to violate the Foreign Corrupt Practices Act, and agreed to forfeit $43.7 million.